The Halloween film series has unleashed ten films over forty years, with the eleventh (and, frankly, one of the best) set to hit theaters on October 19. 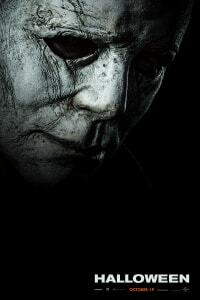 The masked Michael Myers will face off against Jamie Lee Curtis’s character Laurie Strode once again, in a story that comes to terms with all the decades of pain and fear caused by Michael. When Michael Myers escapes his decades-long confinement, he heads straight back to his home town of Haddonfield, Illinois. There, Laurie Strode has spent her life preparing for a possible rematch with Myers — while her daughter (Judy Greer) and granddaughter (Andi Matichack) have spent their lives trying to deal with Laurie’s lingering trauma. 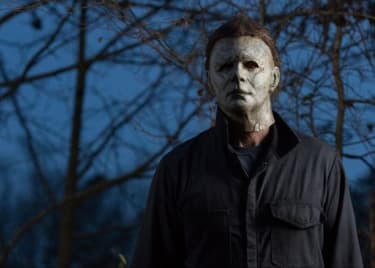 Director David Gordon Green brings a new level of meaning to Halloween in his new movie, which sets a new standard for horror revivals. Tickets are now on sale for Halloween, which means the time is right for a refresher course on why Michael Myers is so terrifying. Here are seven of the greatest scares in Halloween history. After nearly two decades away from the series, Jamie Lee Curtis made her return as Laurie Strode in this 1998 movie. This was the first film to significantly rewrite the Halloween story, as it basically erased the previous three films while also establishing that Laurie and Michael Myers were siblings. (The new movie erases all those story points.) H20 has a few good moments, and we love this scene, where Laurie and Michael come face to face for the first time in years, separated only by a piece of glass. Halloween 5 doesn’t have much to recommend it, not least because it turns the cramped middle-class Myers house into a sprawling gothic mansion, complete with features like a laundry chute. The movie earns points, though, for a great scene with young Jamie Lloyd acting as bait to lure Michael straight into Dr. Sam Loomis’s line of sight. The result is a super-creepy cat and mouse scene as Jamie retreats into the chute to hide from Michael. Halloween 6 got a bad rap for years, but the longer Producer’s Cut rescues the movie. First, it’s got young Paul Rudd in an important role. It also has one of the series’s most terrifying incarnations of Michael Myers, who is more determined and far more violent than ever before. So when Rudd’s character Tommy (the kid Laurie was babysitting in the original movie) comes face to face with Michael in the hallways of the Smith’s Grove Sanitarium while trying to save Kara, we believe that Michael could pull Kara right through the metal bars of a hospital gate. The original sequel to Halloween, which picks up just minutes after the first movie ended, has more than a few creative scares and explicit kills. This sequence, however, evokes the spirit of the original movie better than any other. In an early scene, Alice Martin (played by Anne Bruner) hears a radio report about Michael’s rampage while on the phone with a friend. She doesn’t realize the killer is already in her house, however, and is soon stabbed — as we see a close-up of one of Michael’s eyes that is one of the creepiest shots in the entire series. Halloween III stands outside the Michael Myers story, but it’s still part of the series — and it’s a super-entertaining movie. It gets nasty when we see a demonstration of the Silver Shamrock company’s plans, however. The outfit has been selling masks to kids, and those masks become deadly when they interact with a special signal sent out via television. There’s nothing like seeing cockroaches and snakes crawl out of a mask to make you rethink your costume plans. Let’s do two in one. In the original film, Laurie’s friend Lynda is killed by Michael, who is posing as her boyfriend in a simple ghost costume. Michael standing in a doorway, wearing a sheet and glasses, is incredibly creepy. Things get worse a few minutes later when Laurie goes to check on Lynda, only to find her dead, in bed — with Judith Myers’s gravestone. Forget about trying to figure out how Michael managed that feat. One of the scariest scenes in all the Halloween movies is the very first. John Carpenter opened his horror classic with a sequence that set an entire genre in motion. On Halloween night, young Michael Myers dresses in a clown costume and creeps upstairs in his home, with a knife in hand. He murders his sister Judith as the audience looks on through the eye holes in Michael’s mask — and all our fates were set. Now that you’ve got the bloody history of the series, you’re as prepared as you can be for the new movie. Green’s film is bloody and terrifying. If we wrote this list after it was released, we’d have to reserve at least half the entries for 2018’s Halloween. We hope you’re as ready to be scared as we are.